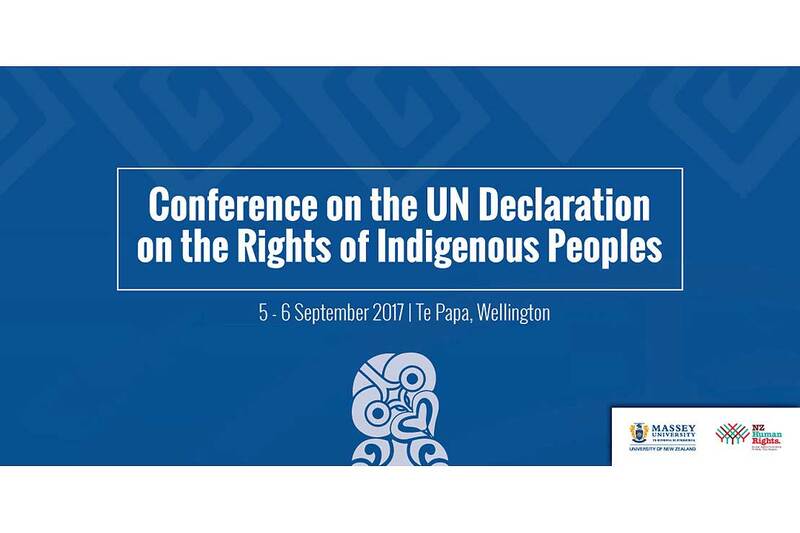 To mark the 10th anniversary of the adoption of the UN Declaration on the Rights of Indigenous Peoples, Massey University’s Global Centre for Indigenous Leadership and the New Zealand Human Rights Commission are hosting a conference to reflect on the Declaration’s impact and relevance. The free conference, to be held at Te Papa in Wellington from September 5-6, will seek to address the balance between the social, cultural, economic and environmental dimensions of the Declaration and the opportunities it holds for realising Māori and indigenous peoples’ potential. Professor Selwyn Katene of Massey University’s Global Centre of Indigenous Leadership says he is excited about the opportunity to bring together a diverse range of people who can help focus the Declaration’s implementation in Aotearoa into the future. “The Declaration is an important tool, but there is a need for us to improve the understanding of how it can be used to benefit our Māori and indigenous communities. The two-day conference will feature panel discussions on a range of Declaration related topics and issues, a political party leaders debate, interactive workshops and a line-up of subject matter expert speakers and facilitators. The confirmed line-up of speakers includes: Dr Claire Charters, Anaru Erueti, Edwina Hughes, Moana Jackson, Dr Carwyn Jones, Professor Selwyn Katene, Aroha Mead, Dr Jason Mika, Pania Newton, Dr Farah Palmer, Hon Dr Pita Sharples, Valmaine Toki, Professor Rawiri Taonui, Fleur Te Aho, Tracey Whare and Dr Pushpa Wood. Day two of the conference will feature four interactive workshops covering a range of themes related to the Declaration and its impact and relevance to the community.